But I said NO NO NO! I did say YES YES YES to impersonating the terrifying (but talented) Amy Winehouse for Halloween. Happy Halloween to All!! I just got my CB2 holiday catalog in the mail and was completely blown away. There are so many yummy little treats in here- and the prices are really amazing. 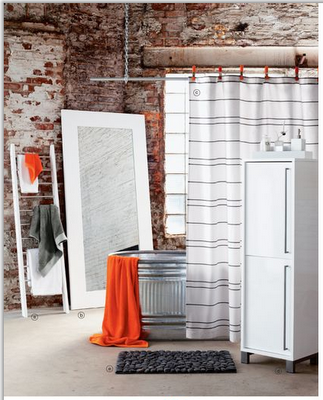 I am already in love with Crate & Barrel, and now just as enamored with its baby sister CB2. And their room styling is truly inspiring. Check out a few of my favorite pics....Enjoy! 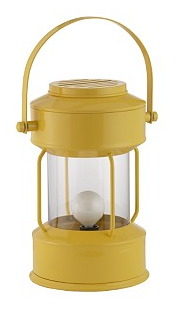 This would be so adorable as a bedside lamp. Just add a mosquito net over the bed to turn your bedroom into a comfy campsite. 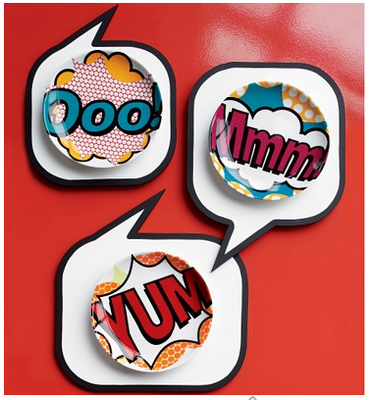 Super hero plates bring the Wonder Woman vibe to any girl's kitchen. So clean & modern- It would add a great pop of color in my kitchen. 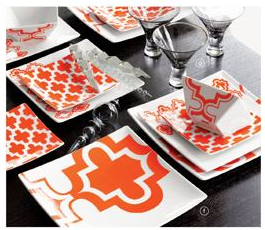 Goregous- mix with plain balck and white dinnerware to make the orange really pop. I heart craft night so much. Its so good to have girl time that involves wine, yummy snacks, and good gossip! And our pumpkins turned out beautifully! Thanks for all the fun ladies- see you next month. Happy Halloween! My favorite quote from the night came from Julie: "It turns out I don't know what an owl looks like!" Needlepoint- Not just for grannies anymore! 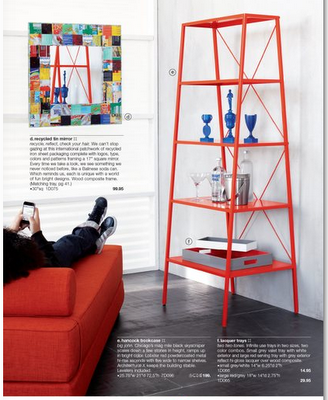 Jonathan Adler is so smart- damn him and his creativity!! Aren't these pillows so funny?! Like the Anti-Needlepoint. I love the needlepoint Animal print- like rocker grandma! 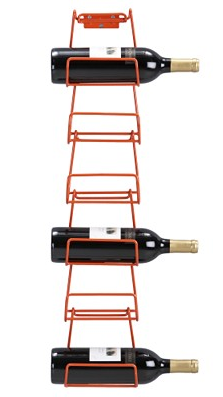 Available from Jayson Home and Garden. So in love with these stitch-able journals from AMH Design. Beautiful! Embroider your own Photo Album with this kit from AMH Design. See the kit below....What a fun project for a chilly day! Did anyone else here in Austin just see the cold front blow in- brrrrrrr! Yay! Fall! (Maybe it'll stick around this time.) These things I'm loving aren't necessarily for Fall- but they are all oh so lovely, I couldn't resist sharing. I'm off to Pumpking Carving Craft Night....Enjoy! 1. Leopard Towel at Pottery Barn 2. Calendar by Orange Beautiful 3. Wheatland Scart at Anthropologie 4. 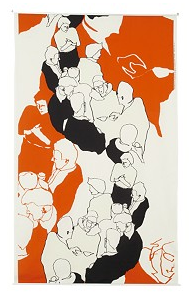 Zhang Painted Cabinet from Four Hands 5. Holy Water Bottle from Urban Outfitters 6. Dress at J.Crew- perfect for my brother's wedding at Thanksgiving!